In addition to basic location awareness, PostGIS offers many features rarely found in other competing spatial databases such as Oracle Locator/Spatial and SQL Server. Refer to PostGIS Feature List for more details. 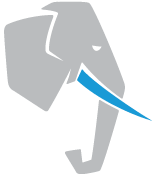 Not sure if you are running the best possible PostGIS for your PostgreSQL? Refer to our Version compatibility and EOL Policy. PostGIS is released under the GNU General Public License (GPLv2 or later). Refer to License FAQ for more information. PostGIS is developed by a group of contributors led by a Project Steering Committee. As of PostGIS 2.3, the postgis extension was changed to no longer allow relocation. All function calls within the extension are now schema qualified. While this change fixed some issues with database restore, it created the issue of if you installed PostGIS in a schema other than the one you wanted to it is not intuitive how to move it to a different schema. Luckily there is a way to do this. For this exercise, I will install PostGIS in the default schema and then demonstrate how to move it into another schema location. You can run these steps using psql or pgAdmin or any other PostgreSQL tool you want. As a software engineer at the Howard Hughes Medical Institute, I work on a collaborative neuron reconstruction and analysis software called CATMAID 1 (screenshot: 3), which is used for neuroscience research. We use PostGIS to represent neurons in a 3D space. Vanguard Appraisals is new to the GIS world. In fact, we aren’t really in the GIS world; we just kind of brush up against it. We do mass property appraisal for entire county and city jurisdictions, and we develop software to collect, price and maintain values. We also host assessment data online so that homeowners can search and find property information much simpler from the comfort of their own home. Our software and websites are used in 7 states (IA, IL, MN, MO, NE, ND, SD).